The 5 USBs allow you to charge many devices at once. Great back up power in emergencies. 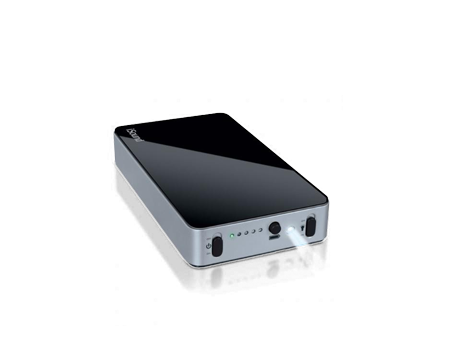 With up to 480 hours of power, the Portable Power Max is the only back up battery for the iPad, iPod, iPhone and other portable devices you will ever need. With its compact design and powerful 16,000 mAh battery, you can talk more, listen to more music and view videos longer. The 5 USB ports allow you to charge and power most USB powered devices, and the included USB to mini/micro USB cable means you don't have to carry one for each device. LED status indicators let you know how much charge power is remaining and the built-in flashlight will help you connect in the dark. Includes USB charging adapter for Blackberry phones.